We offer a wide range of services for homeowners - from routine pick-ups to customized waste and recycling solutions. Plus, we have dumpster rentals available for any project need such as moving, remodeling, or just cleaning up. No matter what business you're in, we are equipped to provide safe, dependable and environmentally-friendly waste and recycling services. We have a wide range of services available to fit any customer need. Organizations like yours are leading the way in renewing resources. They understand how wasting less and recycling more can help conserve resources, protect the climate, support jobs and create value. 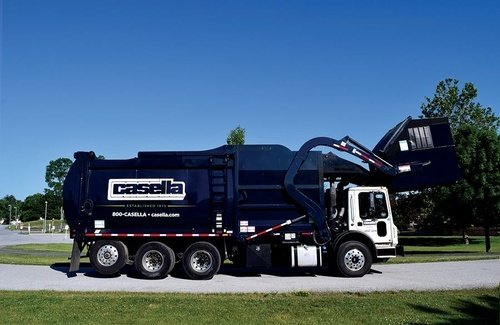 Since 2000, the company has moved more aggressively to supplement traditional waste management services with its expertise in resource renewal and sustainability. It has consistently led the industry in offering services and infrastructure that help communities and customers sustain – economically as well as environmentally – the planet’s limited resources. Today, with a clear strategy to serve our customers with integrated services, we continue to lead the solid waste industry with an innovative business strategy that seeks to create sustainable value beyond the traditional waste disposal model. We view waste as a resource for producing renewable energy and as a raw material for manufacturing new products.